I'm not sure what to make of this "Top" spot award, as described on the Fox News website. Wellfleet's Beachcomber Restaurant, which (seasonally) operates in what was at one time a Coast Guard Life Saving Station, is listed as one of America's "best places to drink outdoors". The method of making this determination seems dubious to me, but so what? Check out the article on the Fox News website. 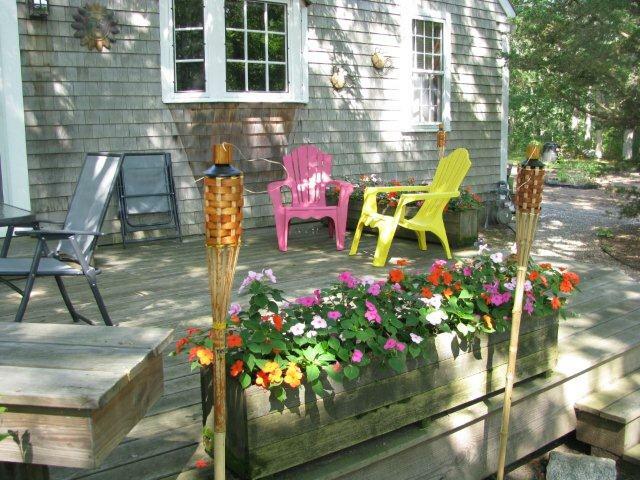 New Listing - Eastham Cape Rental Gem! Lovely 3 bedroom, 2 bath, Cape home with an unusual center stairway. Downstairs is designed for open living with a comfortable kitchen/dining/living area with a fireplace and deck. The downstairs bedroom is just down a short hallway from the kitchen. Upstairs is a loft area, 2 big bedrooms and a large bathroom. This house is being sold turn-key, furniture included. This house has been used as a summer rental and has been a 'consistent performer'. Close to South Sunken Meadow Beach, the drive-in, and the Audubon Center. Listed at $389,000. A great value. Go to http://185HarvestRd.robertsheldon.com for more photos and a map. Check out the Virtual Tour...Here. My May 2012 Report Is Available Now! My May 2012 report is available now! This issue of my newsletter has sales results for Eastham through the first quarter (1Q2012). Additionally, you'll find articles about this year's Town Meeting, Wellfleet's Beachcomber Restaurant, and three new listings. This newsletter has been published every month for over 9 years. My aim, with my newsletter, is to provide accurate sales and market information about the Eastham housing marketplace, to add commentary and opinion (as appropriate), and to keep it interesting. Download your copy of my May newsletter now. New Listing - Eastham Oceanfront - Wonderful! Imagine the open Atlantic Ocean across the street. Now imagine a sunrise over water, whales and seals, beachgoers, and the unmuffled sounds of ocean waves. This home is a wonderfully decorated and maintained 3 bedroom, 2 bath ranch deep in the Cape Cod National Seashore, way beyond the Nauset Light lighthouse. Being sold fully furnished. Well worth the trip to see it. Listed at $899,000. Go .... HERE ..... for a map, a Virtual Tour, and lots of photos. The theme of this three day festival is "Wellfleet comes alive in spring time" and is a great way to kick-off the season. It starts with a cocktail party at the Lighthouse Restaurant on Friday, starting at 5:30 p.m. featuring the local band “The Trees”. There will be free hors d'oeuvres and a cash bar. The must-do event of the weekend is a fantastic Exhibit of Visual Arts at Preservation Hall including everything from oil painting to sculpture to jewelry, all created by local artists. The Exhibit's Gala Opening Reception is on Saturday at 4 p.m. There will be a special gallery tour featuring many of Wellfleet’s wonderful galleries who are throwing open their doors early to offer their own unique receptions and events. Preservation Hall and other local venues will also be humming all weekend long with a variety of workshops involving the arts. Unique to this festival will be a free workshop on “How to become a non-starving artist” with advice and practical guidance from practitioners, small business advisers and potential financial supporters. 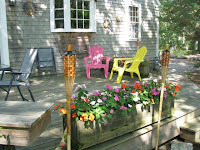 For a complete schedule of events and a much more information, go to the Wellfleet Blossoms website. 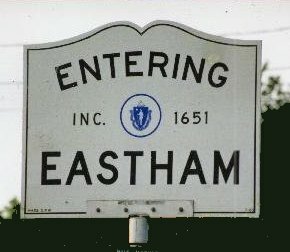 The Town of Eastham has put the applications online for the summer of 2012's beach, shellfish, and transfer station permits. The rates haven't changed much from last year. The instructions are on the forms. They will begin processing the applications in mid-April. Get ready for summer! New Listing - 2 Bedroom Eastham "Retreat"
EASTHAM - New Listing - This may be the house you've been looking for! We have a 2 bedroom, 2 bath Cape, nestled in the trees, with a large eat-in kitchen, a big living room with a gas stove, a large deck, 2 bedrooms and a bath upstairs, and a full (partially finished) basement. The current owners have enjoyed endless hours watching the birds (incl hummingbirds) snack at their feeders from their deck. Great landscaping with rhododendrons guarantee your privacy and make this house a 'picture perfect' retreat. 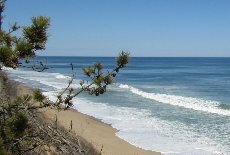 Located on the ocean side of Route 6, just a short walk to the high school and Nauset Light Beach. Listed at $387,900. Go to http://255squantord.robertsheldon.com/ for more photos, a virtual tour, and a map. Enjoy! Eastham's March sales were a robust 9 sales. 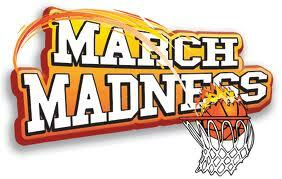 March sales are commonly more numerous than February's. The details.. There were 9 homes sold in Eastham in March, up 7 from February. The median sale price in March was $410K. There are currently 129 active single family listings in Eastham, with an average list price of $612K and a medium price of $429K. The average days-on-market is currently 230 days.